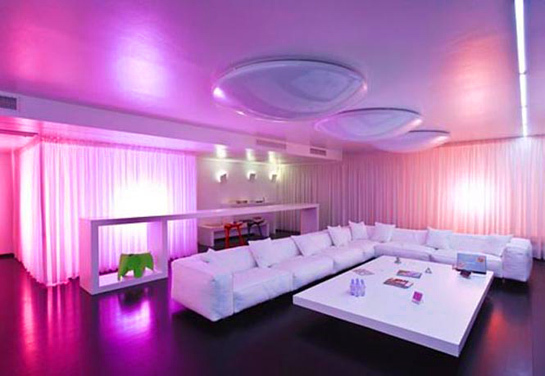 The prospect of being able to control the lighting in your house from anywhere is incredibly appealing. It’s the reason why lighting control systems have become so popular. When it comes to a lighting system though, the type of light bulb you use is just as important as the system itself. Let’s take a look at the different types of light bulbs that can be used in home lighting control in West Palm Beach. Incandescent light bulbs are the most commonly used light bulb on the market. They are also typically the cheapest. This type of light has a warm, inviting quality and is very complimentary to skin tones and psychologically appealing. They tend to last between 700 to 1,000 hours and can be used with a dimmer. While they are typically the cheapest, they are usually the least energy efficient. Halogen bulbs are a variation of the incandescent bulb. They are known for giving off the closest approximation of natural daylight. This is also known as white light. While they are more energy efficient than incandescent, they are also more expensive and burn at a higher temperature. Halogen bulbs are most commonly found in under-cabinet lighting. LED, or light-emitting diode, is a newer light technology. These bulbs are known to be incredibly long lasting and energy efficient. Their main drawback is that they are more expensive than more traditional bulbs. However, given their energy efficiency and length of time that they last, they still offer financial benefits. Are You Interested in Home Lighting Control in West Palm Beach? At ETC, we have the home lighting system that is perfect for you and your home. Contact us today to learn more. Home Theater Systems in West Palm Beach | Why Should I Get One?Energy Management System in West Palm Beach | What Are the Benefits?